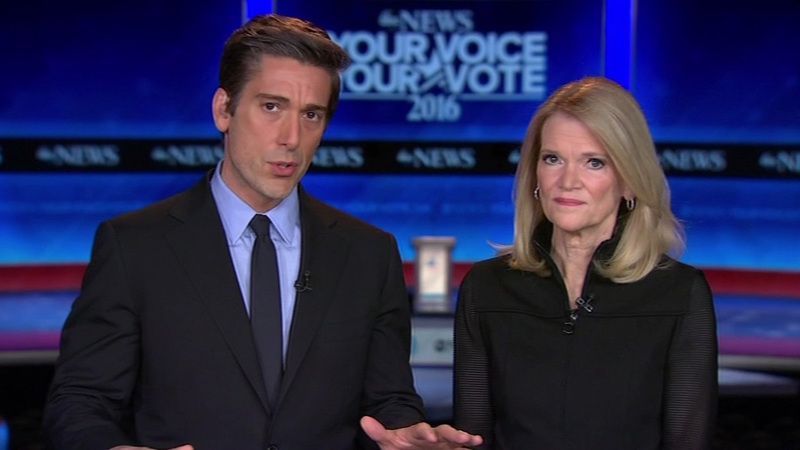 Saturday's Democratic presidential debate in New Hampshire is hosted by ABC News with David Muir and Martha Raddatz moderating. They expect the country's security will be a big part of the debate. "If you look at any of the polls that are out there right now, Gallup for one, showing that 1 in 6 Americans are likely to say that security on the homefront in their priority," Muir said. "So we go into this debate knowing that people are gathering for their holiday, for the Christmas meal, and a lot of people are going to be talking about what can be done in this country to make us safer." You can watch the Democratic debate on Saturday on ABC7 starting at 5 p.m.
For full coverage of the 2016 election, click here.